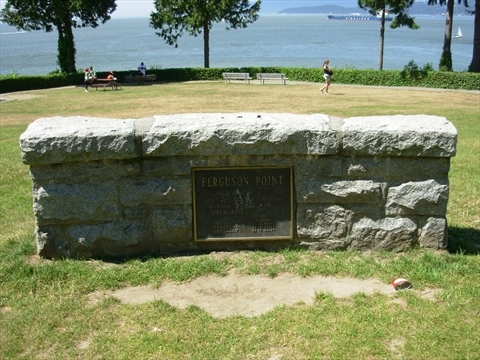 Ferguson Point is an elevated point on the west side of Stanley Park. It offers magnificent views west towards the ocean! The view of the sunsets from here is fantastic! During the Second world war there was a gun battery located here (see history and plaques below). 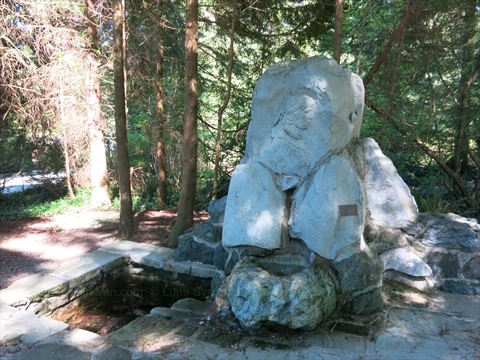 Now, located at Ferguson Point are the upscale Teahouse Restaurant, E. Pauline Johnson Memorial, and the Burma Forces cairn. Ferguson Point is named after A.G. Ferguson, who was an American, and one of the first park commissioners. He loved Stanley Park so much that when the annual maintenance money was used up, he paid the bills with his own money for the rest of the year until the next year's amount was available. And it was reported that some years he paid a large sum! This wasn't a big issue because he had purchased prime property on Hastings Street and became very wealthy. 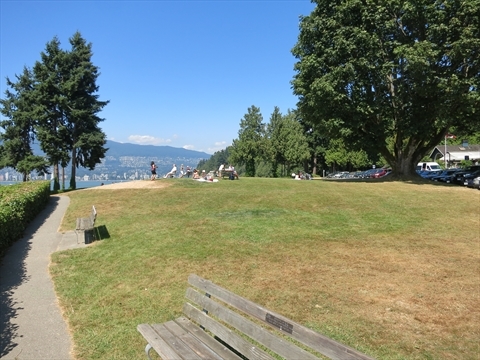 He and his wife had no children so they left some money to their niece, Grace Ceperley, with a suggestion that she create a playground in Stanley Park for the children. As it happens, she did just that and the whole area (Ceperley Park) around the playground in Stanley Park is named after her! 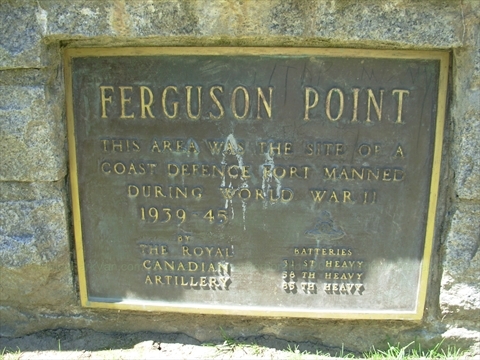 During World War II, Ferguson Point had artillery guns installed for the protection of Vancouver. 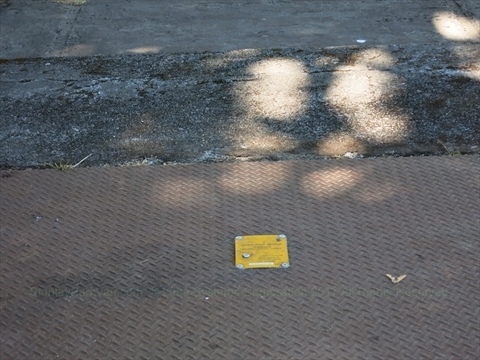 The cement pad where they resided is still there. 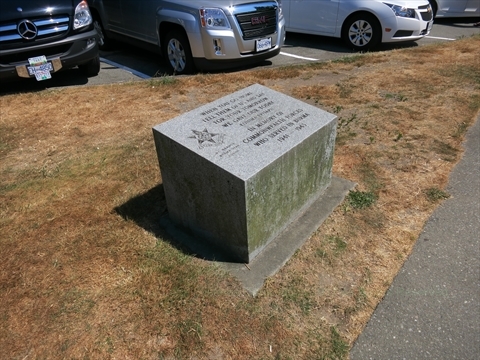 Where is Ferguson Point in Stanley Park? 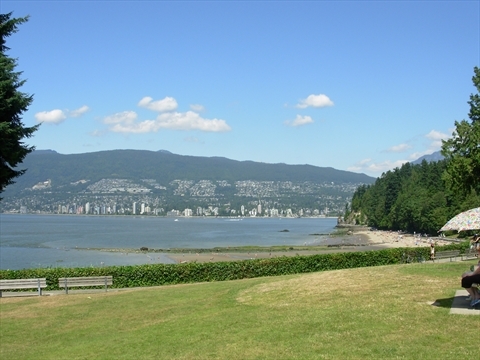 Ferguson Point is located on the west side of Stanley Park. 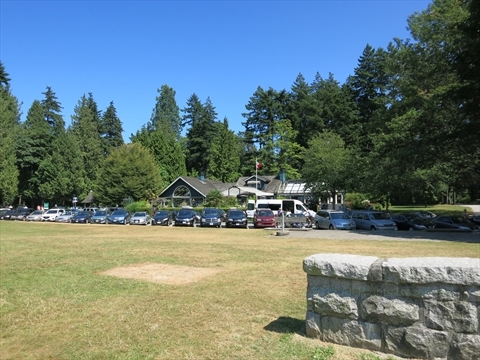 Where can you park for Ferguson Point in Stanley Park? How to get to Ferguson Point in Stanley Park? 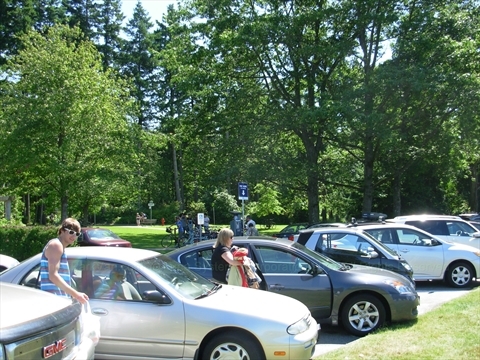 By Car: Since Ferguson Point is located on the west (far) side of Stanley Park, it takes some time to get to. To get to it by driving, get onto Stanley Park Drive via the Georgia Street entrance to Stanley Park. Take the first right in the traffic circle to get onto Stanley Park Drive. 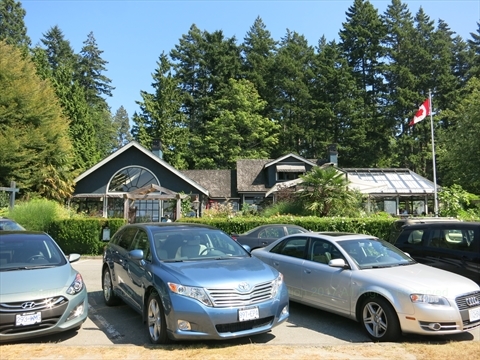 Continue along Stanley Park Drive all the way around Stanley Park past Prospect Point for about a kilometer then take the first right when you see a building (The Teahouse) on the right and you are at Ferguson Point. 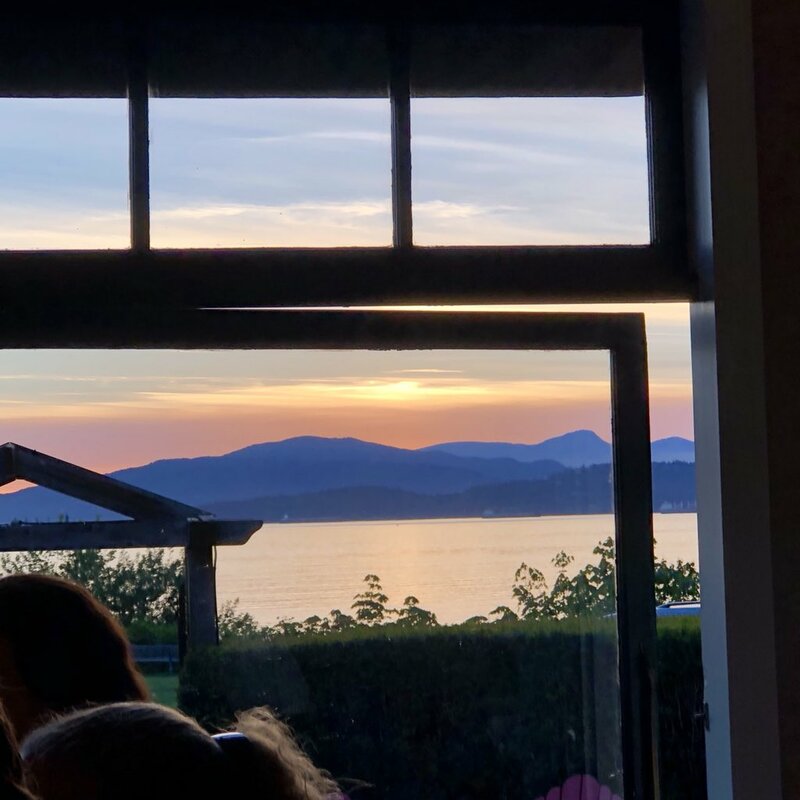 By Walking: From Second Beach / Ceperley Park: 1) walk west along the Stanley Park Seawall until you see the sign for Ferguson Point / Teahouse restaurant. There is a fairly steep staircase to climb. 2) Alternatively, take the path across the road behind the Second Beach Concession Stand into the woods, turn left onto Rawlings Trail, then continue for a few kilometres until you exit the forest at the Teahouse restaurant and are at Ferguson Point..
By Bicycle: From Second Beach / Ceperley Park: Take the path across the road behind the Second Beach Concession Stand into the woods, turn left onto Rawlings Trail, then continue for a few kilometres until you exit the forest at the Teahouse restaurant and you are at Ferguson Point. By Bus: You CANNOT get to Ferguson Point by public transit. 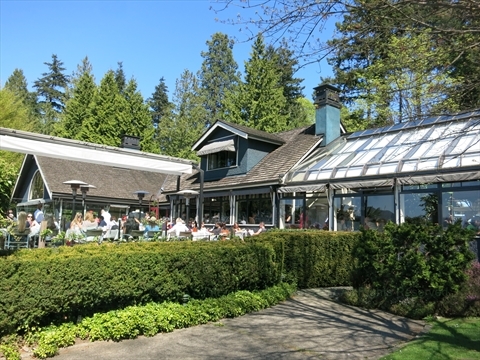 What else is located near Ferguson Point in Stanley Park? Third Beach is a short walk down the hill from Ferguson Point. 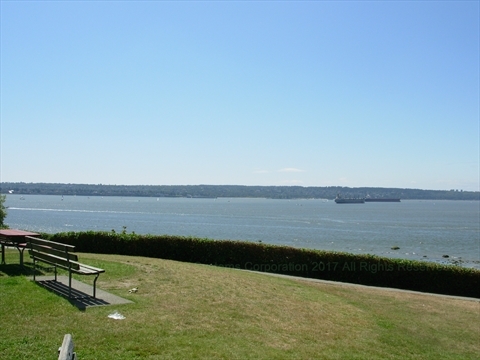 Also, you can get to the Stanley Park Seawall via a steep set of stairs from Ferguson Point.